As a standalone camera, the X-T20 delivers the optimum image quality in our view. It's the same quality as you'll find from X-T2 or X-Pro2, which is nothing short of exceptional (although 24MP is heavier on the laptop). Sure, it might lack the weather-sealing or the lower price-tag, but the overall look, feel, performance and results make for a surefire success - even with just the kit lens attached to the front. When we reviewed the Fujifilm X-T10 compact system camera, we felt that its retro style was just right. 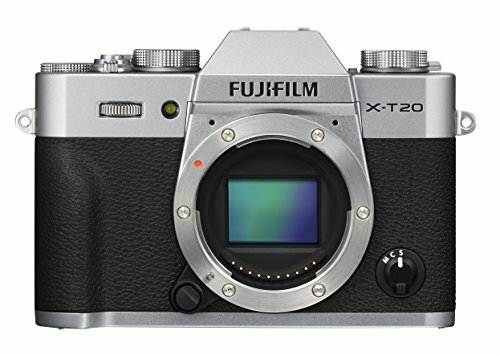 Now Fuji has introduced the X-T20 which maintains that touch of retro appeal - and you can take that "touch" aspect literally, thanks to the addition of touchscreen controls this time around. The X-T20's arrival was no surprise, fresh off the heels of the higher-end X-T2 launch in the middle of 2016. And with that higher-end camera setting a new benchmark for the mirrorless market, just how well does the X-T20 handle? We've been living with the X-T20 for a couple of weeks, taking it in tow with us on a trip to Utah, USA, to see whether this is the most logical Fuji compact system camera to plump for or whether the stiff competition have affected Fuji's power. Fujifilm X-T20 review: What's new vs X-T10? The X-T20 isn't drastically different looking to the X-T10. The movie button has moved from the dedicated button up top to the drive dial, while the easy-to-knock function button on the rear takes over that former movie button up top. That's about it. The most critical change to the X-T20 are the addition of touchscreen controls on the tilt-angle LCD screen on the rear. The latest camera doesn't embody the tri-angle hinge of the X-T2 for the screen can move in any direction, but its vertical motion is plenty good for us - we've been using it lots to get that flat-on, waist-level position nailed when shooting; it's easy to pull away from the body thanks to small protrusions to the upper and lower left-side corners. Under the hood there's a new 24.3-megapixel sensor, of the X-Trans CMOS III variety - a push on from the second-generation 16.2MP sensor in the earlier X-T10 model. That 50 per cent bump in resolution puts the X-T10 in line with both the X-Pro2 and X-T2 cameras also in the range; Fuji doesn't differentiate by resolution across its range, rather by other defining features. The new sensor means a more powerful processor, too, which also unlocks the door for 4K movie capture. Just like with the also-announced X100F the X-T20 comes with Fuji's latest autofocus setup. That means 325 focus points, available in full or 91-point arrangements; 49 of which are phase-detection points arranged to the centre 40 per cent of the focus area. That's a big jump compared to the X-T10's 15 phase-detection points and it can be felt in use. Fujifilm X-T20 review: How does it perform? When we first tested out the X-T20 it was on a pre-launch preview day. Having then also handled the rather excellent X100F compact and GFX 50S medium format system cameras, the X-T20 didn't feel quite as up to things - but, in hindsight, we suspect that was simply down to fading light on the day. Having taken the X-T20 to Utah, where there's very little light at night, we've not had such issues. While we originally sampled the XT-20 with a 50mm f/2.0 prime lens attached to the front, for this review we've been handed the 18-55mm f/2.8-4 kit lens. Now, typically speaking, kit lenses aren't the best. But, tell ya what, this kit lens is really rather good: its distortion control is great even at wide-angles, while sharpness is impressive for a not-too-expensive optic, plus that wide aperture betters its equivalent competitors. Fuji's new autofocus system is an impressive arrangement, too. Of its 325-points, there's a 91-point option, while the centre-most 49-points are phase-detection based for optimum performance. The more sensitive points are outlined as distinct, larger squares so you know what's what, while that touchscreen control makes it ultra-easy to nab the focus position as you please - and it's not rigidly restricted to just those points, you can touch anywhere on the screen. That's what really makes this Fuji standout from its peers. Even the higher-end X-T2 lacks the touchscreen provision, so it's obviously viewed as a more "entry" feature by the Japanese company, for whatever reason (or perhaps not, as, bizarrely, it's also featured in its £6,500 medium format camera). Either way, we're glad it's here and think it should be in all of Fuji's cameras. The key thing the X-T20 lacks that the X-T2 and X100F feature is a focus lever to the rear, thus touchscreen is made all the more important. It's a shame both features aren't available, as this little (absent) thumbstick is really handy for delicately sifting between focus points. The rear thumbwheel does double-up as a secondary control, however, as it is depressible and can be used to zoom-in on the action to 100 per cent scale (at the given focus point). So if you press on the screen to select the focus area, then press the rear thumbwheel, the whole screen will be filled for more precision focus. It's not quite as adept as Panasonic's Pinpoint autofocus mode, as found in the G80, but it goes some way to ensuring accuracy. We would also like Fuji to implement smaller focus point options, as the current smallest available box is a little too large in our view. When it comes to continuous autofocus the X-T20 packs in many of the moving subject presets that are featured in the X-T2 (only custom lacks), for impressive capability when it comes to keeping up with things on the move. No skimping here. With its centrally-aligned viewfinder, you might be looking at the X-T20 and wondering what makes it different to the pricier X-T2. It looks the same, but the X-T20's viewfinder has a slightly lower magnification (0.62x instead of 0.77x) so it doesn't appear quite as large to the eye. It's still a decent sized image, though, and nothing like looking at a TV screen down the end of a coridoor. There's plenty of resolution, given the OLED panel's 2.36-million dots, too, while a refresh rate of up to 60fps (this can be limited to benefit battery life) ensures preview remains smooth. Not quite as impressive as the 100fps special from the X-T2, but if you want that kind of ultra-smoothness then you'll need to pay the extra cash for the more advanced model. A huge part about any camera is the quality of the images it can produce. You might think the X-T20, being further down the pecking order of the X-T-series, might not produce images as high-end as its pricier peers. But you'd be wrong. Despite the odd autofocus hiccup during testing, it's since looking at the cameras' full-size images on a computer screen that we've been most impressed - especially, like we say, given the kit lens in use. Images are every bit as quality as those of the X-T2 in the X-T20, meaning great sharpness, dynamic range and colour at your fingertips. We rather like that there's no discrimination between the camera range. This is all thanks to the 24.3-megapixel X-Trans CMOS III sensor at the camera's heart, paired with X-Processor Pro. Sometimes we've been caught out by low-light rendering a low shutter and, thus, soft results due to a fixed ISO sensitivity being selected. A few adjustments, however, and the ultra-high shutter speed values available can handle just about anything you need to handle (mechanical is to 1/4000th sec, while electronic is available to 1/32,000th sec). The lowest ISO sensitivities hold the most detail, although it's a shame ISO 200 is the base level sensitivity for this camera. There is a low "L100" setting within the quick menu, but you won't get the same dynamic range from such shots, which could be a problem when shooting raw and hoping to make adjustments. Fuji's handling of dark shadow areas even at high ISO sensitivities is excellent, keeping colour noise at bay and maintaining richness and contrast that some competitors lack. That stands true right through to ISO 6400, as can be seen in the example shot of our "mega movie mug". When it comes to detail the full-scale 24MP shots look great. It's only when zooming in to inspect detail much closer that you'll spot any degradation in quality due to processing as the ISO sensitivity rises. It's only really by four-figure ISO sensitivities that you'll start to see mottled textures or processing artefacts around defined subject edges, or heightened softness as a result of processing. Even mid-ISO shots hold up elegantly, though, with an example shot of flowers at ISO 800 (below) maintaining heaps of detail and colour that can't be matched by the nearest competition in our view. In addition to stills, the X-T20 also includes 4K video capture at 30fps maximum. After the X-T2 it's the second time it's been offered in a Fuji camera. So it's odd, then, that there's no one-touch movie button control like the earlier X-T10 - instead you'll need to twist the top dial all the way to the movie symbol to capture. Full HD resolution at 60fps is also available. The quality for both is great, even if the focus can wander off from time to time. 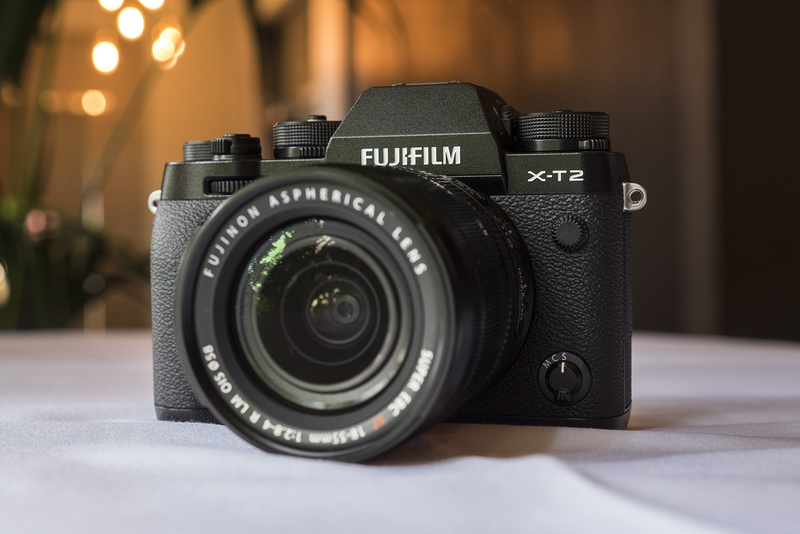 But while the Panasonic is like the brains of the mirrorless camera world - it's hugely capable, with 4K modes, Pinpoint autofocus and weather-sealing - the Fuji X-T20 is the heartfelt, retro-styled champion. And sometimes it's better to listen to your heart, right? As a standalone camera, the X-T20 delivers the optimum image quality in our view. It's the same quality as you'll find from X-T2 or X-Pro2, which is nothing short of exceptional (although 24MP is heavier to work with on a laptop). Sure, it might lack the weather-sealing or the lower price-tag, but the overall look, feel, performance and results make for a surefire success - even with just the kit lens attached to the front. Just like its X-T10 predecessor, the X-T20 is retro done right, with all your modern technological wants embedded within. If you're after a DSLR-style mirrorless camera than, pound for pound, Panasonic offers the most viable option on the market in the G80. It's feature packed, just like the Fuji, which makes the choice between the pair all the trickier. Ok, ok, so it's not a mirrorless camera. But whether you use the 80D via its rear LCD screen or via its viewfinder the results are still great. If you're more finder inclined then perhaps this is the savvier option to choose of all, given just how snappy its to-the-eye autofocus setup is. You'll have to forego the 4K capabilities which all the others above include, however.